How has your week been so far? I hope you are having a good one! 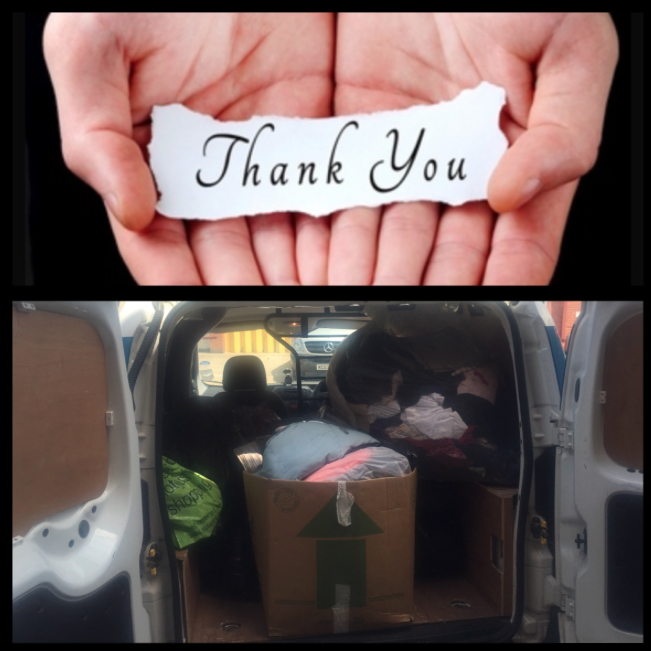 I just wanted to start off by saying a BIG THANK YOU to everyone that has donated clothes, shoes, blankets and supplies over the past few months to help those affected by homelessness here in the local area. Last week on Friday I took 22 big full up bin bags, yes 22, to local centre that helps people affected by homelessness. If you didn’t know, I am pleased to confirm that Kim and Maison, who I befriended at the start of the year when I found out they were forced to live in a tiny caravan with no water or electricity, are now housed – everyone deserves a roof over their head and to be able to have a wash and sleep safe at night, so big thank you to everyone that helped with donations and support for the cause. There has been a 55% rise in the amount of people sleeping rough each night in the last 5 years, and believe it or not there are people in our town and the surrounding areas that are affected by homelessness. It can happen to anyone and this is the reason that I have chosen to try and help anyone affected by it. My message of the week is short and simple and not just related to health and fitness, but to your life in general – (and it was actually written in a message to my wife and I on our wedding plate by my dad in 2006) - “Count Your Blessings Every Day” – wise words well written. What are you grateful for today?